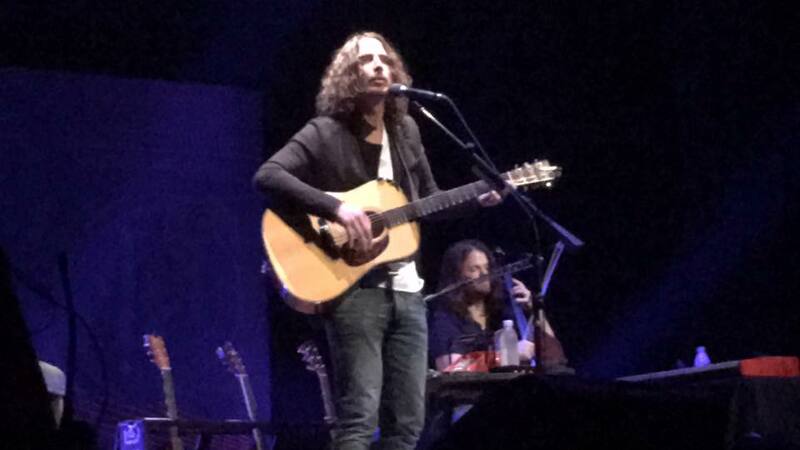 The Chris Cornell show last night at the Hippodrome Theater in Baltimore was fantastic. This was my third time seeing Chris Cornell solo (I also saw him in 2007 and 2013), and I have seen Soundgarden three times (in 1994, 2010, 2011) – and each time it’s been fantastic! I was in my seat, so close I could touch the stage, by 7:40ish when the doors open. I was far left on the aisle front row. The show opened with Fantastic Negrito, who I had never heard of but who is very friendly on Twitter. He was also fantastic! He is very soulful and bluesy and did an amazing cover of Leadbelly’s/Nirvana’s “In the Pines.” (Yes I know it’s a Leadbelly song that Nirvana covered, but I know it from Nirvana.) I came home and immediately downloaded his new album The Last Days of Oakland. Fantastic Negrito played for about a half hour, then there was a half hour break before Chris took the stage. At 9pm Chris just casually walked out on to the stage. The audience of mostly older folks (average age was probably 40, definitely a lot in their 50s) went wild. In fact throughout the show, Chris kept commenting how loud and crazy we were. On stage was just Chris and his guitar sometimes accompanied by Brian on cello. He played a great set list with the perfect mix of his solo hits as well as his hits from Soundgarden, Temple of the Dog and Audioslave. Chris also performed covers of Prince, Bob Dylan, Led Zeppelin, Metallica/U2, John Lennon and Otis Redding. Before “Blow Up the Outside World,” Chris referred to the Freddie Gray situation without actually mentioning Freddie Gray or the police. He just said that he wasn’t from here and it’s none of his business, but he was very shocked when he woke up to the news that morning. He said there is definitely a problem when a prisoner arrives to the police station with a broken neck and something has to be done about it or it will never be fixed. I think myself, my friend Michelle and maybe about 10 other people applauded. The rest of the conservative, pro-police, republican, headbanger crowd was silent. Although Chris was magnificent, the audience was not. Between people constantly crawling over me to go to the bathroom and the guy talking incessantly throughout the show, I couldn’t really lose myself in the music the way I like to. Here I thought a theater concert would be very relaxing sitting in nice seats inside with perfect temperature. I’ve had a better experience standing outside in the rain all day in the general admission. Not sure why people talk during a concert, especially an acoustic show. If you want to talk, stay home and play the cd. In the same way, I don’t know why people feel the need to get drunk during concerts to the point they are out of control. 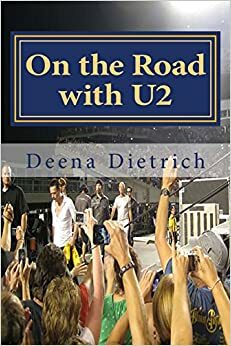 It is not a party, it is a music concert. If you want to get trashed and have a party, stay home and play the cd. Real fans of music don’t get obliterated on alcohol at concerts. We are here for the music, not for a party. To see my photos of Chris from the show, please click here. 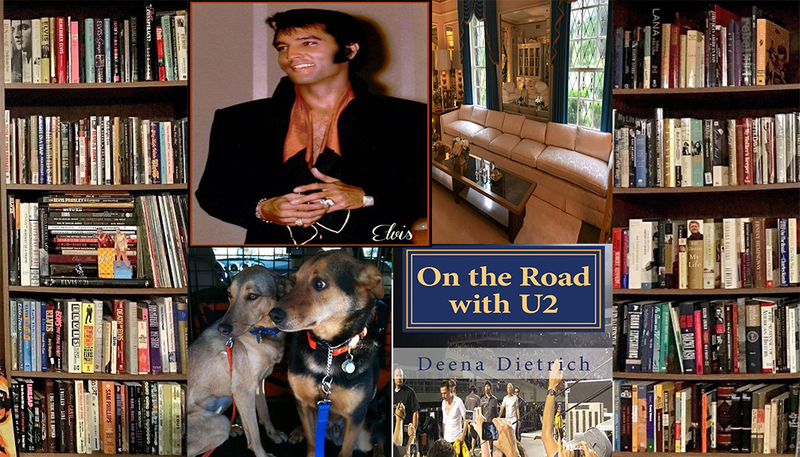 Follow me on Twitter @DeenasDays as I make my way through this life one concert at a time.